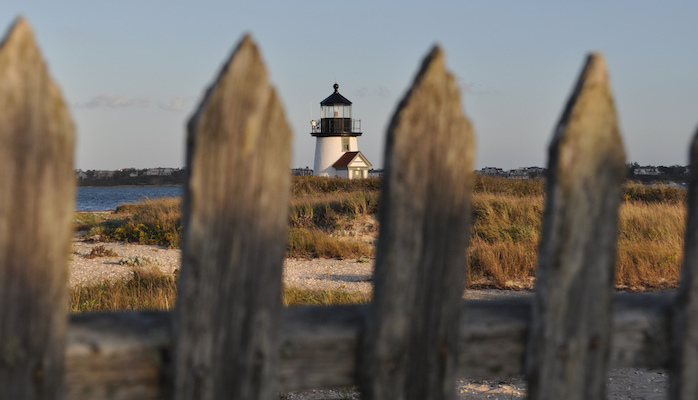 This run covers quintessential Nantucket neighborhoods near the center, from the historic to the unspoiled scenic. The best part is, the route is home to a free and low-key timed 5k which runs every Tuesday evening from March to September — so you’ll never have to run it alone! The course begins and ends at the intersection of Beach and Easton streets (near Children’s Beach), then continues west towards the Brant Point Lighthouse. From there, you’ll turn left onto Hulbert Ave up towards the Jetties, then south again on North Beach Street past the bird sanctuary. Go right on Easton (past the Nantucket Hotel) then take another right onto Cliff Rd, up towards the Lincoln Circle/Steps Beach area and back down to the finish. Locals say the race is both fun and sociable, while still allowing you the opportunity to track your speed gains throughout the summer. It’s also a great way to see some pleasant residential parts of the island near the center. Add-On: A nice add-on is to run out to Tupancy Links, a pretty, open trail heading through grasslands. It’s a ~3 mile add-on, taking Cliff Rd. to the bike path and then a ~1 mile loop around the TUPANCY LINKS trail. Even further, head down Cliff Rd. and take the Ram Pasture Rd. trail, which adds another ~1 mile one-way.